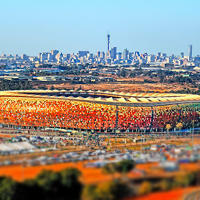 South Africa’s largest stadium was built in 1989 between Soweto and Johannesburg, in a well commuted industrial area. Upon opening it was able to hold over 80,000 people, vast majority of whom were seated in a deep sunken bowl. 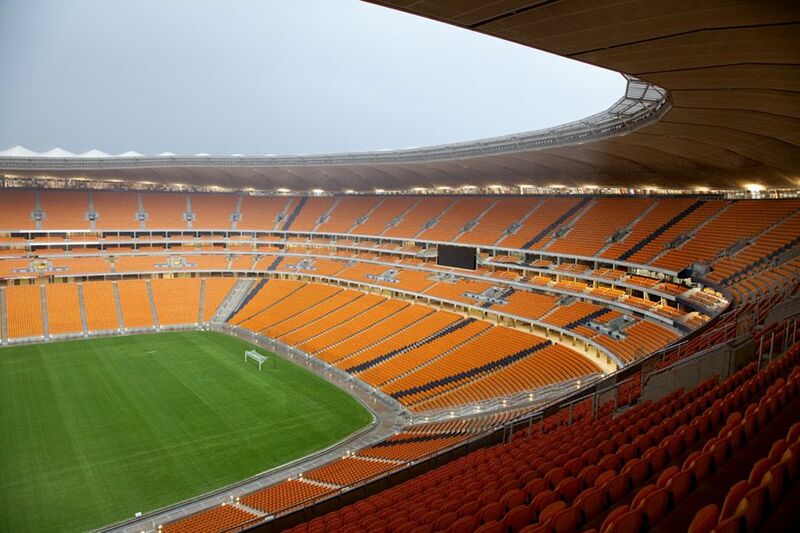 Only the west side had an upper tier for the wealthier crowd, though none of the stadium was covered. 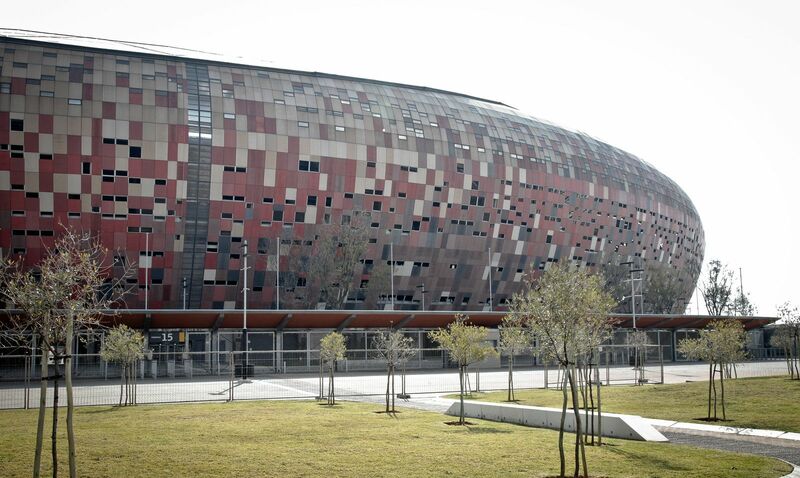 The stadium’s main purpose was to create a central venue for national team games and key domestic fixtures. 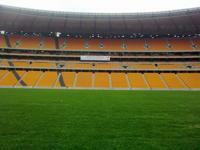 It also soon began to serve as one of home grounds for Kaizer Chiefs. 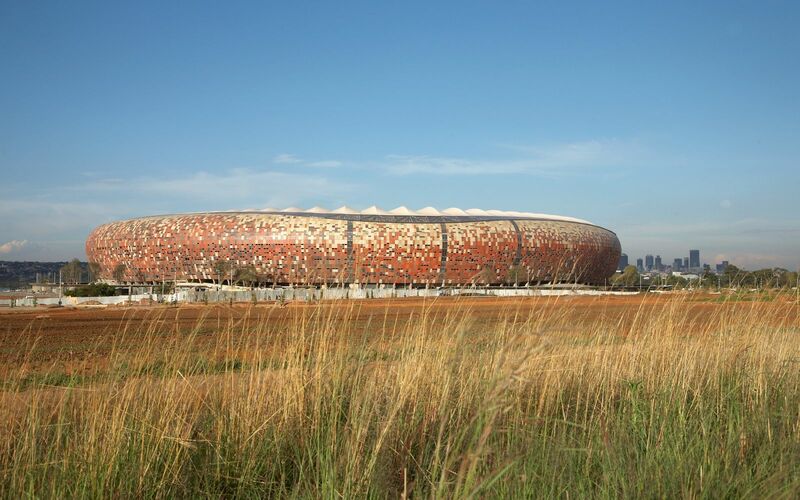 Just several years after opening it also became the main venue for 1996 African Cup of Nations. 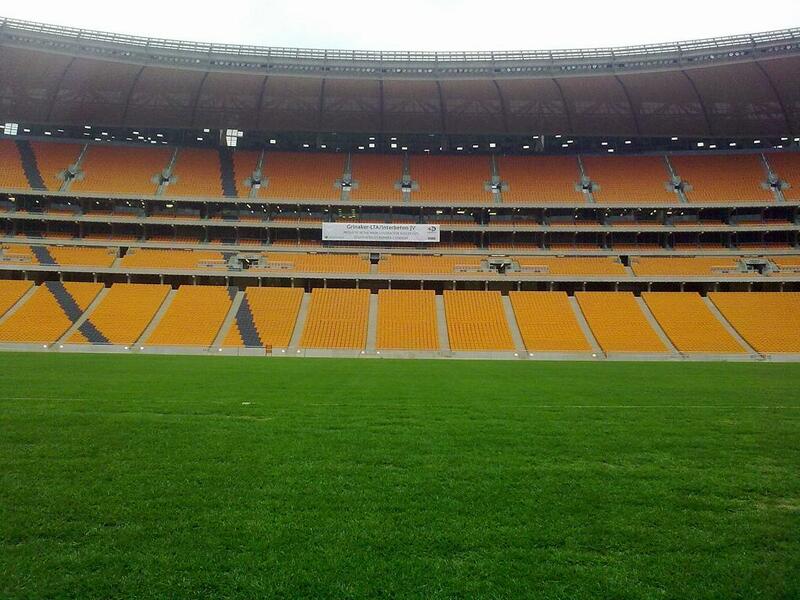 Today’s FNB Stadium is much different from the old one. 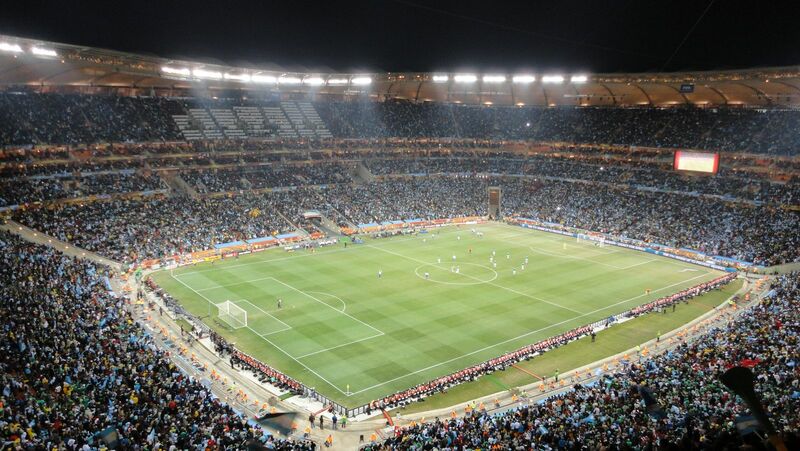 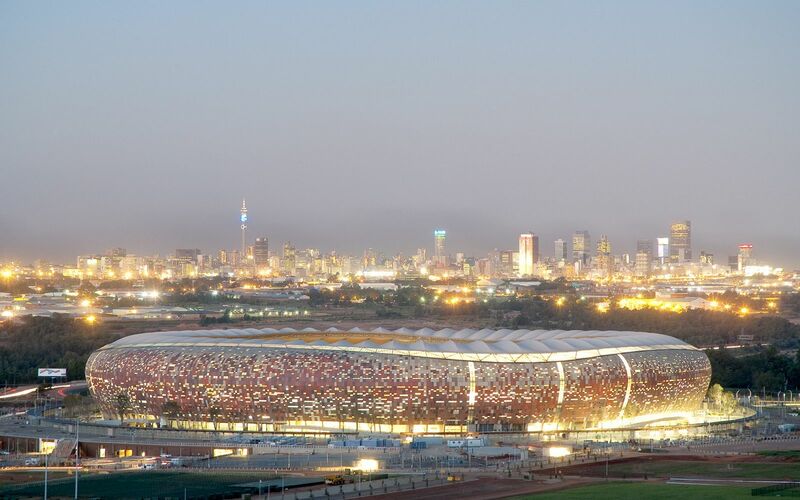 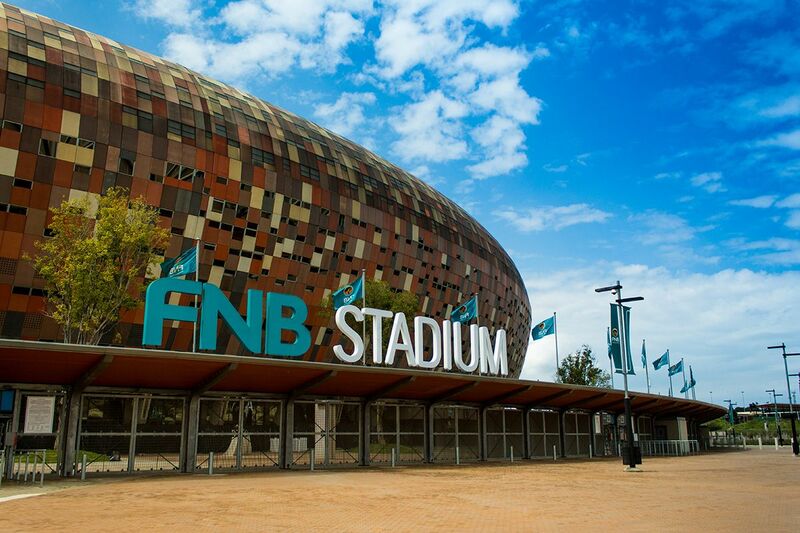 It was completely reconstructed in 2006-2009, when South Africa was preparing to host the 2010 World Cup (during which the stadium was known as Soccer City). 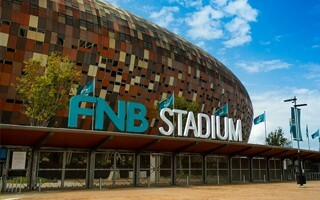 The project consumed ZAR 3.3 billion (app. 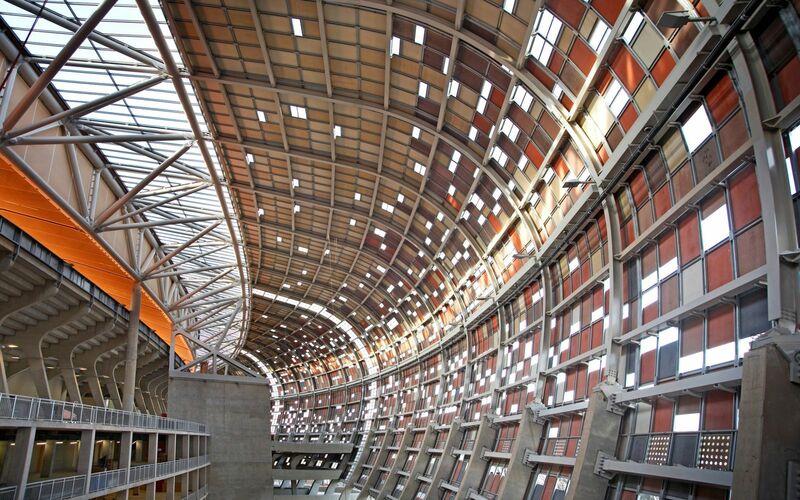 $440 million), although the price was later proven to be inflated artificially by colluding contractors. 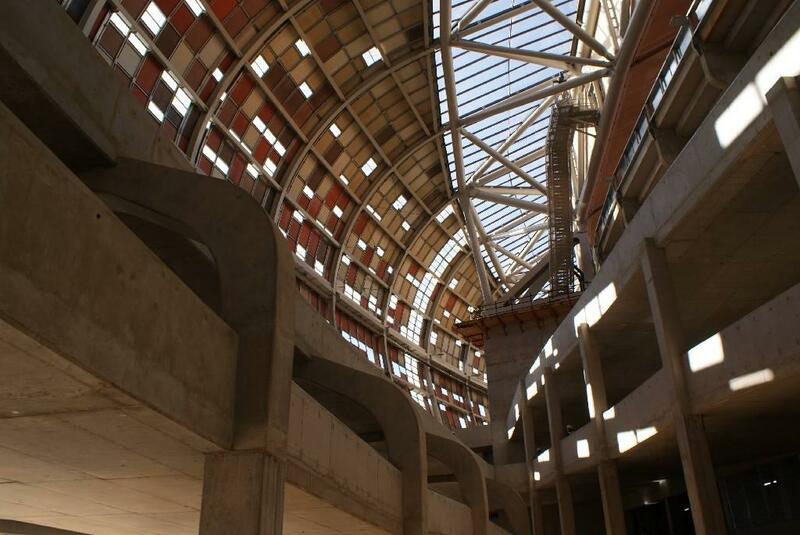 Still, the project’s outcome is impressive. 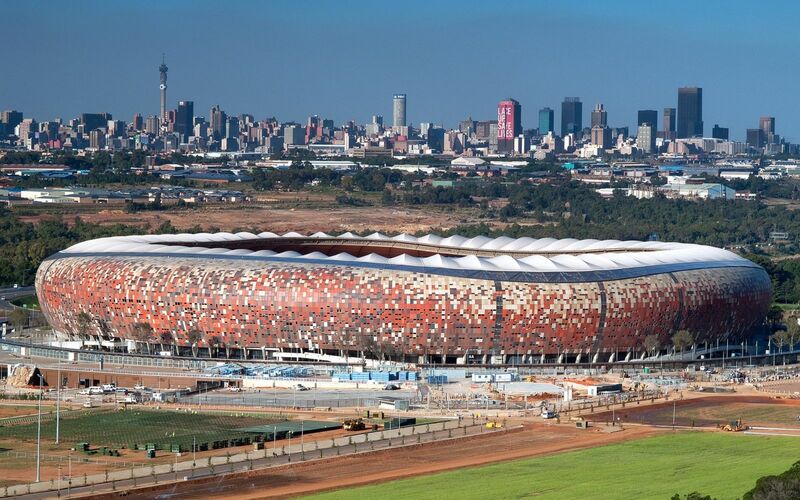 The sunken bowl was retained during reconstruction, though some of the upper rows have been removed. 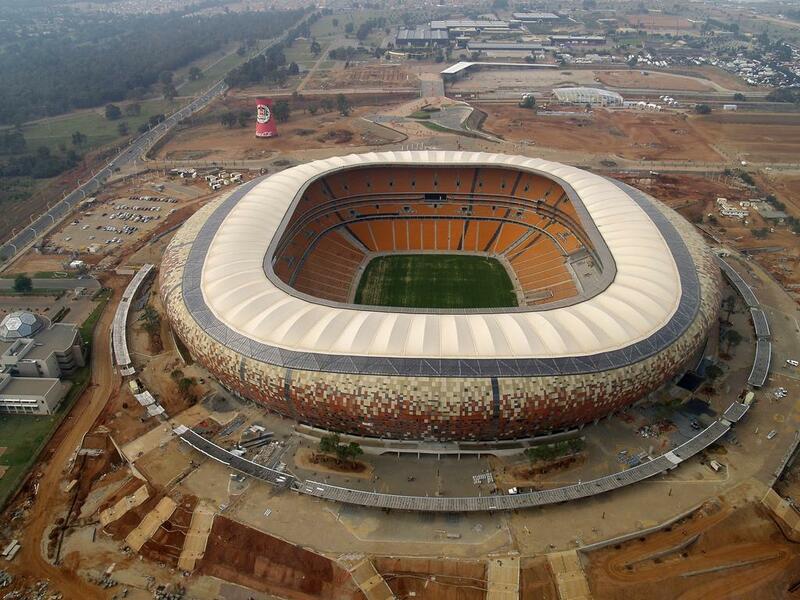 All prefab elements of the bowl were laid anew, while two tiers of new concrete stands were added above. 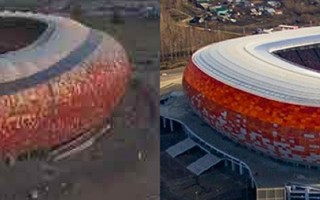 Together with two rings of skyboxes (195 in total!) 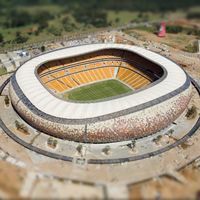 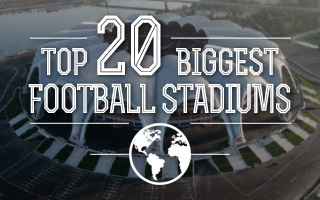 this increased capacity to nearly 95,000, making it the grandest stadium across Africa and one of the largest worldwide. 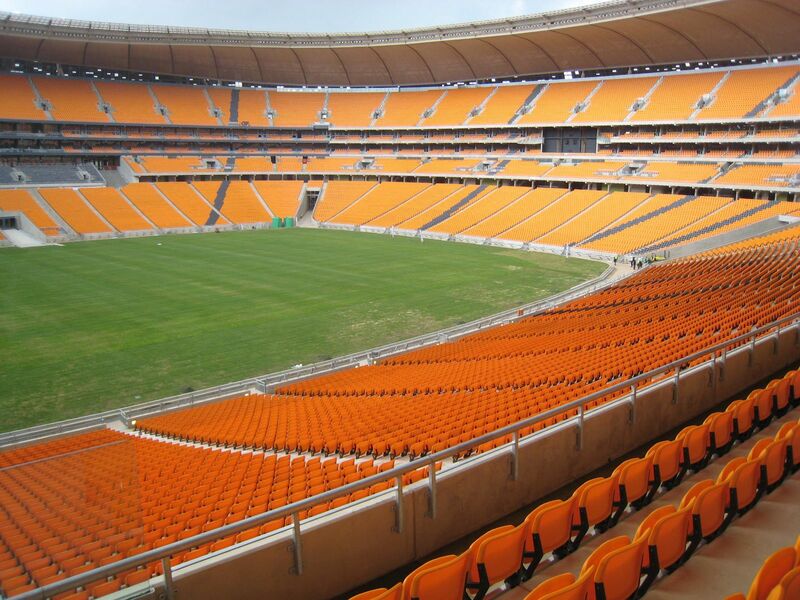 Most seats are orange with only 10 thin black lines. 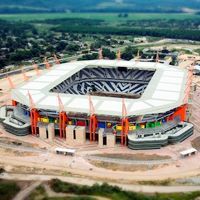 These indicate directions to 9 remaining stadiums of the 2010 World Cup and the 10th leads to Berlin, where the previous edition ended. 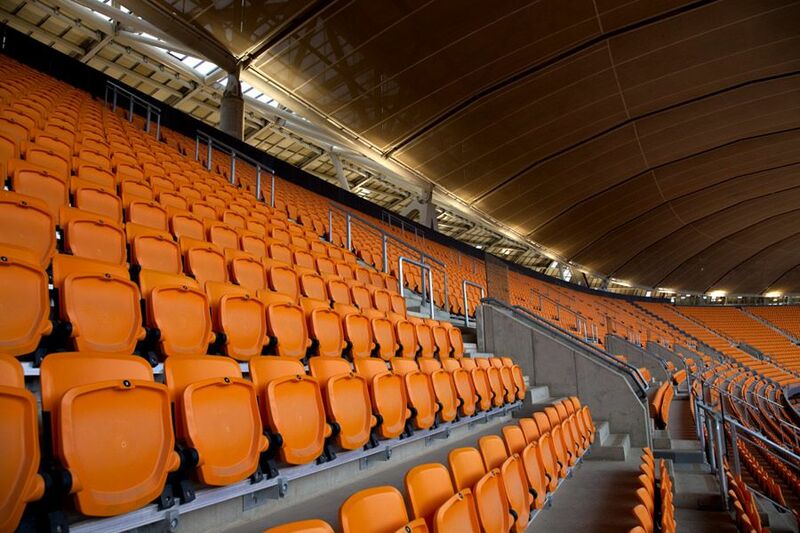 The new seating layout was created by joint forces of Boogertman and Populous, two renowned design offices. 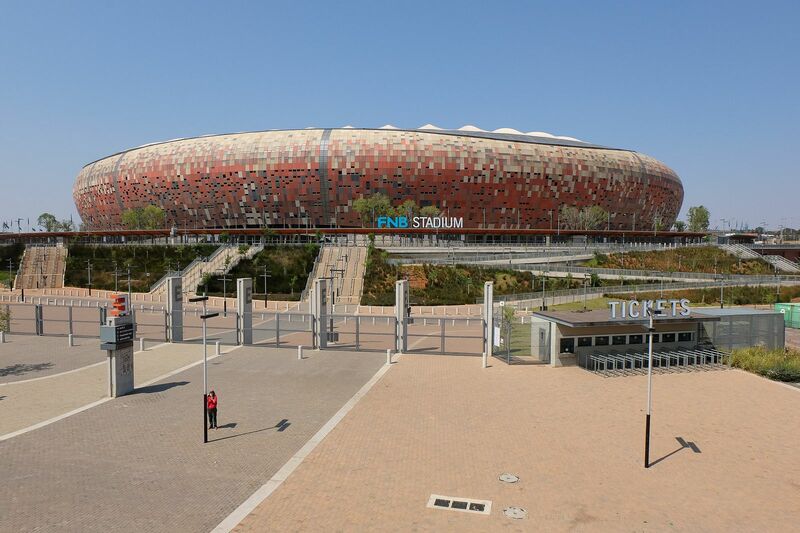 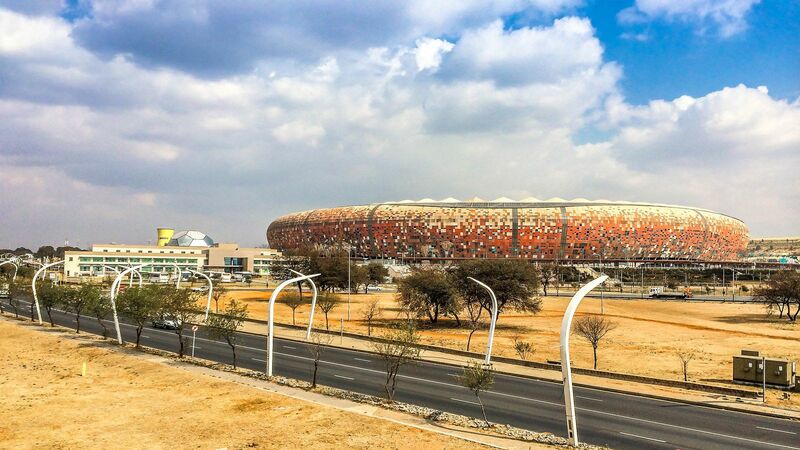 They also created the huge outer cladding (68,000 square meters) shaped to resemble a calabash. 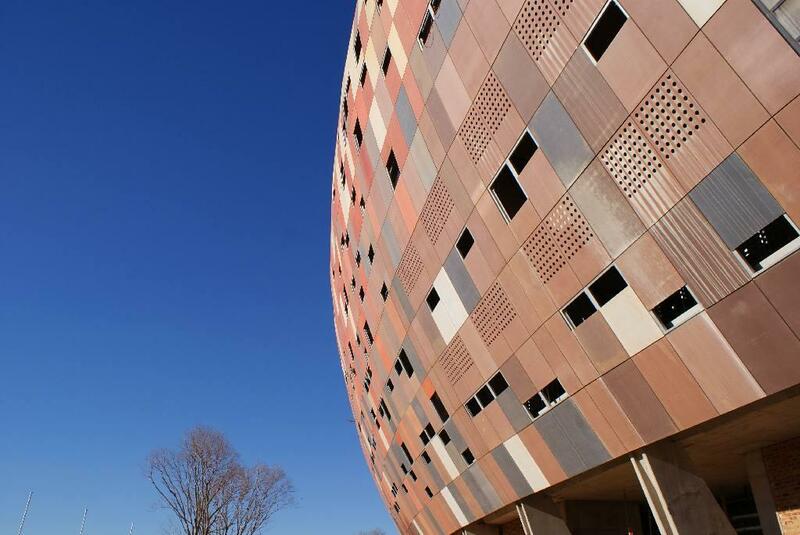 Covered with a mosaic in natural colours and a clay-alike texture, the perforated cladding hides vast areas of inner promenades. 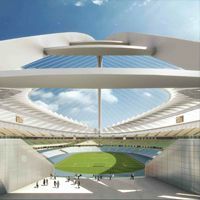 On top of it all is a light membrane roof, hovering some 40 meters above the field. 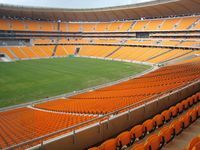 It doesn’t span all the way inwards though, only covering the upper seats and leaving lower section open to the elements. 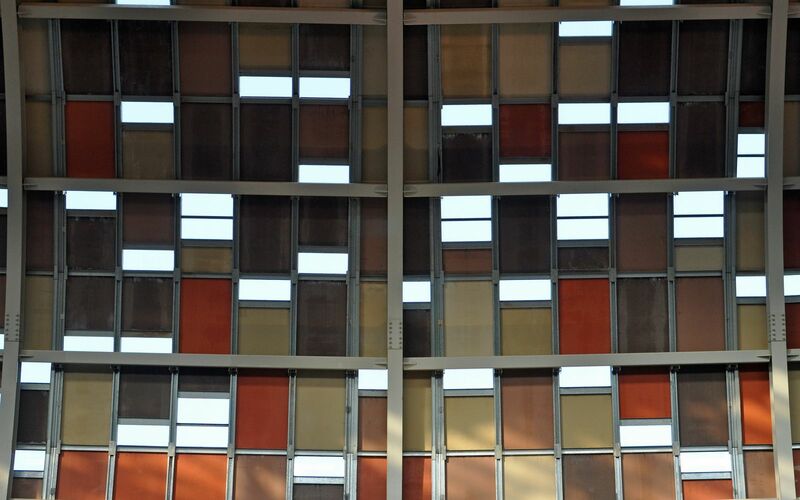 This allows proper sunlight access and improves ventilation. 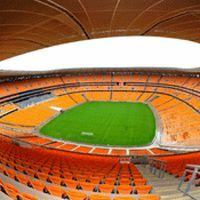 The stadium, aside from hosting numerous sports and entertainment events, has a special link to Nelson Mandela. 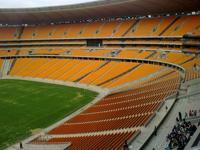 This is where he first spoke after being released and where he made his last public appearance in 2010. 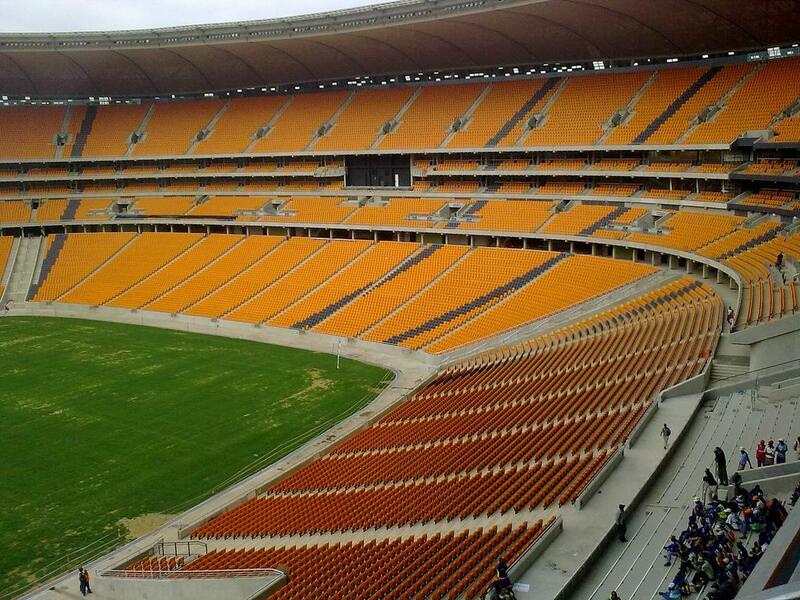 Also, it's where his memorial ceremonies were held in 2013.